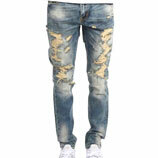 Men's Jeans are an important part of his outfit the jeans you own will determine how you are perceived by your peers this is why Everythinghiphop think it is wise to make the right choice when you shop for new men's jeans. 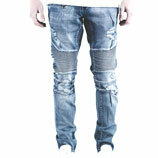 Here are a few things to keep in mind when you're looking for the perfect denim fit. Remember not all jeans will fit the same your shape or size will have a big part to play in this. 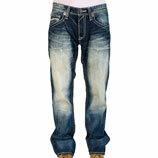 If you have big thighs, for instance, it would be wise to choose a loose or baggy fit pair of jeans. 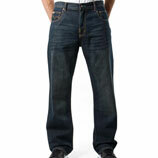 If your legs are slim, a true straight fit or a skinny fit pair of jeans may suit you better. 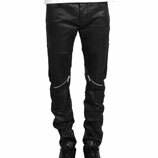 Whatever your preference is we have a broad choice of styles to offer from top streetwear and hip hop clothing brands like Lrg, Dickies, Rivet De Cru, Imperial junkie, Cult Of Individuality or Embellish NYC who have some fantastic ripped and distressed biker denim styles.